I had actually done this a while back but totally forgot about it. 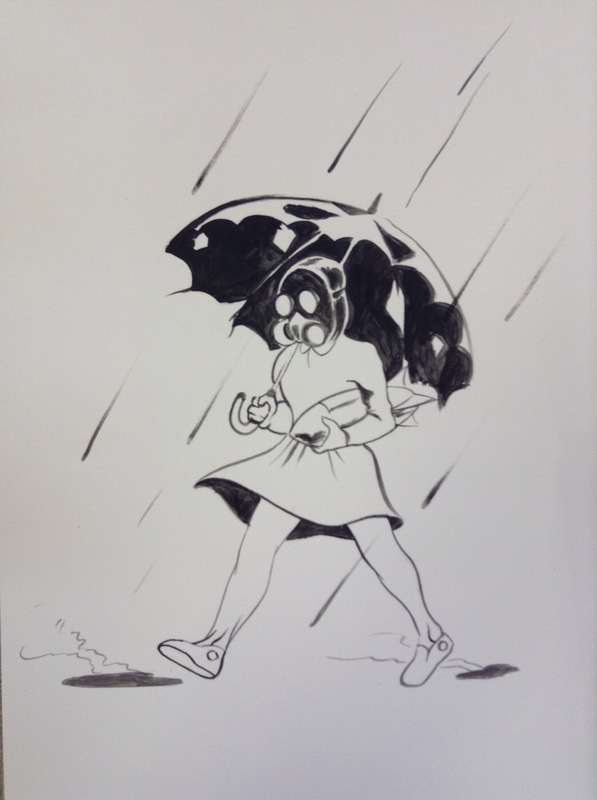 Not much to explain here but it’s a spoof of the iconic Morton Salt Girl that you often find on their blue cans at any grocery store with the familiar phrase “when it rains it pours.” Here you can see a plain reference to the nuclear war. It’s hard not to think that one day this world will be wiped out by that deadly chemical blasts, with crazy nut heads like North Korea and Iran having their itchy fingers on that Red Button. I often ask why God would give such destructive capabilities to man knowing full well the wickedness of his mental state of mind. But then who am I to question the Great One.